Yesterday was the much anticipated school holiday visit to the theatre. 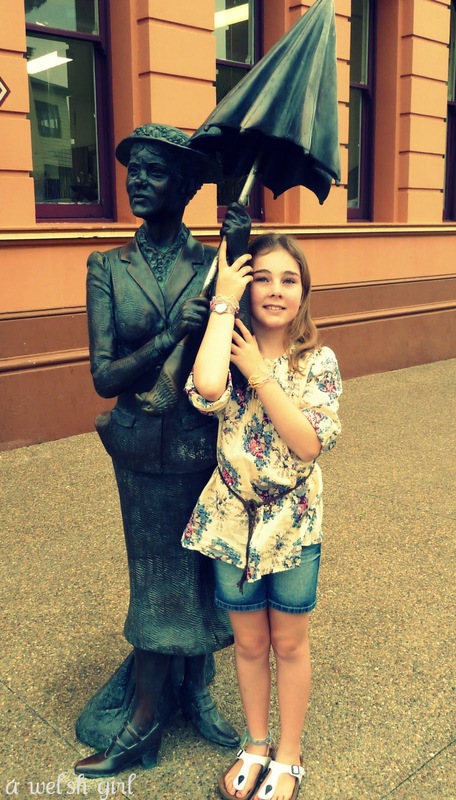 We went to see the Cameron Mackintosh & Disney musical Mary Poppins. The tickets were booked way back last August so when I say much anticipated I really mean it. 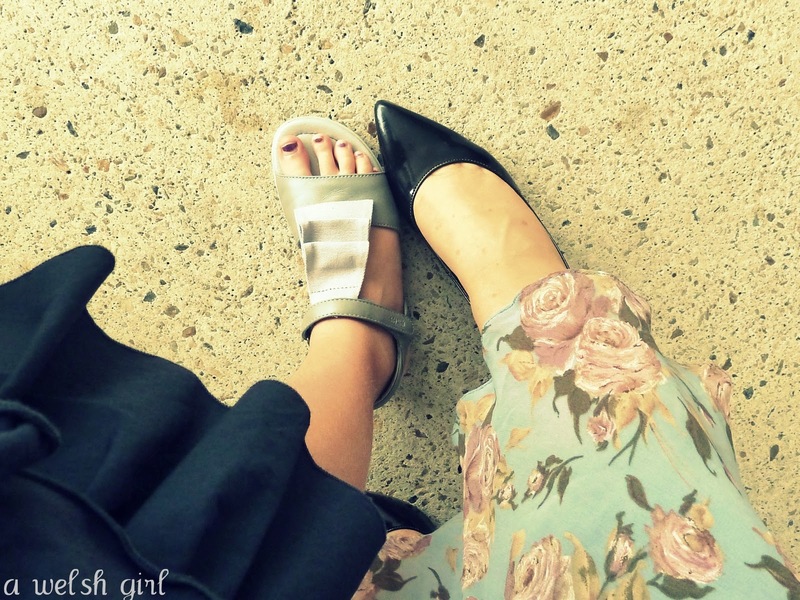 We put on our posh frocks and new shoes and Sibs and I had a girls afternoon. Due to the success of the 1964 Disney film, the characters of Mary Poppins, Bert and the Banks family are very familiar and most of us will have some childhood memories of the movie. The stage version holds on to some of the well known songs and scenes but cleverly includes some of the stories from the Mary Poppins books. Apparently when Cameron Mackintosh first met with Pamela Travers (the wonder behind the stories) she was 93 years old and she wanted him to produce a stage show that was brand new and didn't include any of the Disney songs. Through a number of meetings they eventually agreed on a combination of old and new. In my opinion this works wonderfully. Just enough of the Disney magic to feel comfortable with and then an unexpected twist to the tale here and there. Pamela Travers the author behind the stories of Mary Poppins was born Helen Lyndon Goff in Maryborough, Queensland in 1899. She died in London in 1996. I didn't know she was from Australia until a recent trip up the Queensland coast. We drove through Maryborough and wandered around looking at the Mary Poppins references and history. We found this little statue of the character. 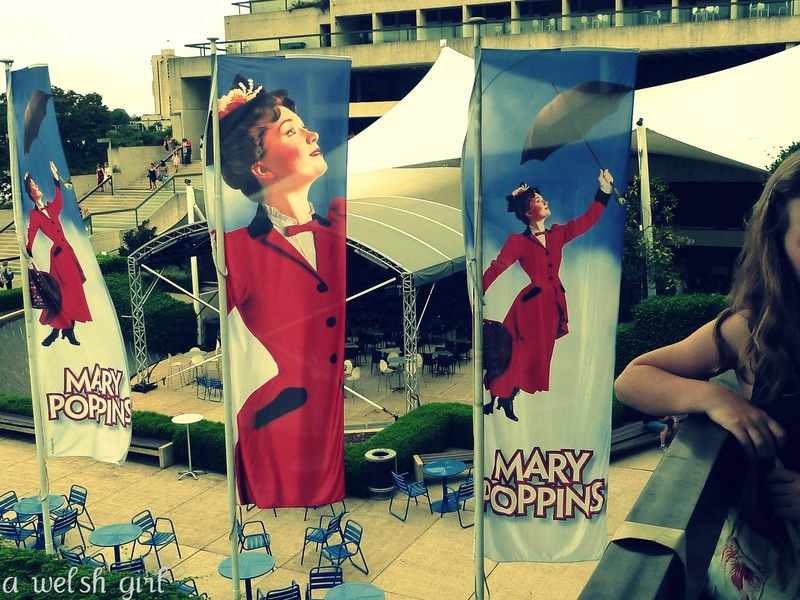 author of the Mary Poppins stories. The Brisbane run is on for another few weeks. We love going to the ballet too Linda and saw The Nutcracker last year, oops the year before last now! It's something I'm enjoying living so close to a city. I was somehow surprised about Pamela Travers too - Mary Poppins is just SO British that I just assumed the author would be too. ' never judge a book by its cover ' comes to my mind?! That is something I would really love to do, and it does look magical! Visiting here from Privet and Holly! I loved the film so I would really love to see this show. It sounds wonderful. And how very interesting to read about the author. Sounds absolutely enchanting.